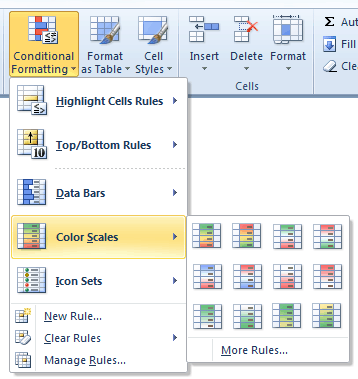 Excel Tip: Creating Heat Maps for Management Reports - Something New Everyday! A heat map is nothing but a visual representation of data where color changes based on the value. For example, you can create a heat map where a cell with highest value is colored green and there is a shift towards red color as the value decreases.